Prospective patients often have questions about what recovery from bariatric surgery is like, and what to expect during the days, weeks and months following their procedure. 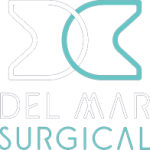 Here at Olde Del Mar Surgical, our team of skilled bariatric surgeons perform gastric sleeve, gastric bypass and lap-band surgeries using advanced minimally-invasive laparoscopic techniques. Minimally-invasive techniques lead to faster recovery from bariatric surgery and fewer complications when compared to traditional surgical techniques. It will still be important to make some modifications to your regular activities immediately following bariatric surgery in order to achieve the best possible long-term outcomes. Also commonly referred to as ‘keyhole’ surgery, during laparoscopic surgery patients are placed under a general anesthetic to prevent any discomfort during the procedure, and ensure the patient has no memory of the actual surgery. Traditional surgical techniques for bariatric surgery involve long, deep incisions that leave the patient with extensive scarring and severed abdominal muscles.Laparoscopic surgery requires only a few tiny incisions. With the help of a specially-designed camera and non-toxic carbon dioxide gas, the surgeon works through these incisions to complete the weight loss surgery. As a result, patients experience far less pain and discomfort during their recovery from bariatric surgery, and are left with only a few very small, discrete scars. In most cases patients can return home the same day of their procedure. Every weight loss surgery patient is unique, and each person has different needs and experiences during the recovery period following their procedure. Factors like age, overall fitness levels, other medical conditions (like diabetes, arthritis and auto-immune disorders) and your lifestyle will all impact how long it takes to recovery from a lapband, gastric sleeve, or gastric bypass. During the first few days of the recovery period, most patients report experiencing low energy levels and fatigue, so plan on having extra help at home to take care of kids, pets and any other dependents. Expect that you might need to take a few short naps during the day, and do not operate motor vehicles or other heavy equipment if you are taking prescription painkillers. You’ll also be following a special post-surgical diet consisting of mainly high-protein drinks for a few weeks after your weight loss procedure. It’s a good idea to stock up on these in advance so you’ll have them on-hand during your recovery from bariatric surgery. The amount of time you’ll need to take off of work depends on where you work, and what your duties involve. Patients who work in an office environment may be able to return to their job within a week, while those who work in a physically-demanding position that requires lifting, pushing or pulling may need to either take an extended leave from their position, or do modified duties for a few weeks. Be sure to discuss this with your surgical team during your pre-operative visit. In order to prevent complications, patients are advised to limit physical activities for four to six weeks during recovery from bariatric surgery. Plan on staying active by taking lots of short walks around your home and neighborhood, and do not lift anything weighing more than 10 pounds. That means you won’t be able to pick up heavy bags of groceries, children, boxes or baskets of laundry for at least a month, so it’s a good idea to stock up on food and supplies before your operation. By planning ahead, asking for help from family and friends, and giving yourself time to relax and heal, you can enjoy a low-stress recovery from bariatric surgery. 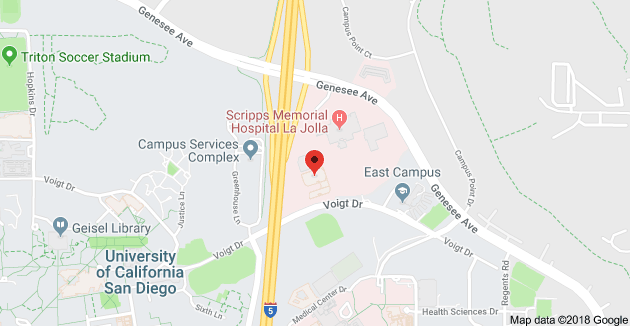 To learn more about how non-invasive bariatric surgery at Olde Del Mar Surgical in San Diego, CA leads to faster recovery times and better overall outcomes for our patients, call or email us today to schedule your weight loss surgery consultation. ← Morbid Obesity – What Is It, And What Are The Long-Term Health Impacts?